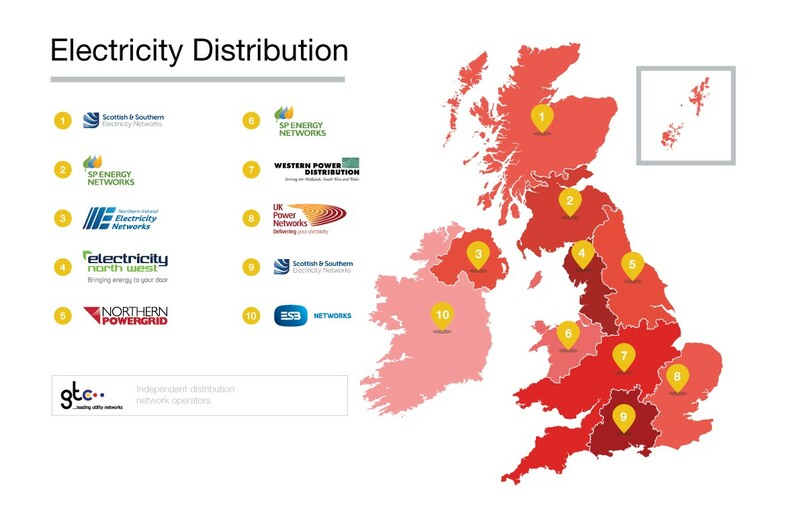 Who owns the UK’s energy distribution networks? When one thinks about the rules and regulations around the UK’s energy networks (which luckily for us at the EPG we often do) we tend to consider price control reviews, governance arrangements and the role of national policies. We don’t often consider the international financial context in which those network companies sit. But perhaps we should. For the time being we’ll ignore the UK’s power transmission (owned by National Grid, SSE and Scottish Power) and gas transmission networks (owned by National Grid). These are owned by primarily UK based companies. Through considering this ownership information and using number of customer connections each company has to represent company size, it turns out that just 11.5% of the GB power networks are owned by British companies (in this case just SSE which owns Scottish and Southern Power Distribution). 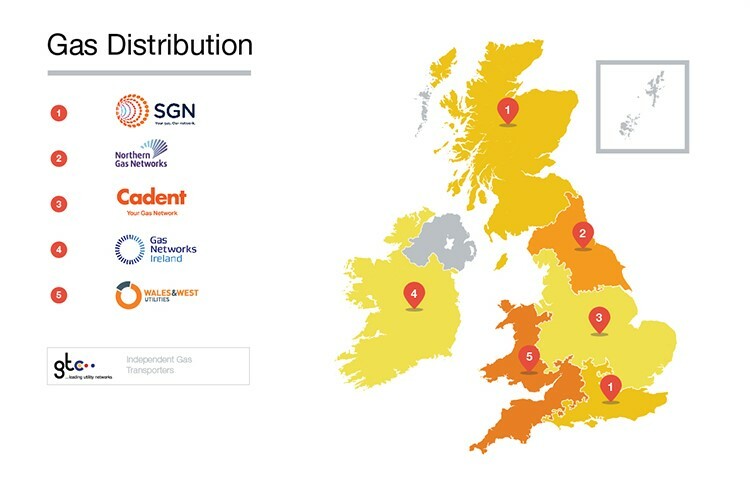 For gas distribution it’s around 23% UK ownership with SSE owning a 33% share of SGN and National Grid owning a 39% share of ‘Cadent’ (previously National Grid Gas Distribution). Ownership is split around the world but there are big chunks of ownership by the US (47% of the power network) and by China with Chinese ownership taking the largest foreign owned chunk accounting for 38% of gas distribution networks and 24% of electricity distribution networks. And the foreign ownership of gas distribution is increasing. It was only late last year that SSE sold a portion of its share in SGN to the Abu Dhabi investment authority and only in April that the sale of 61% of National Grid’s gas network to the ‘Quad Gas Group’ consortium completed. So why does this all matter? Well firstly, it doesn’t take a lot of imagination to see the energy security implications of foreign owned companies being responsible for both the networks which transport all of the energy to our homes and buildings and also being responsible for the connections. And let’s not forget, with smart meters, the connections will be able to be turned off remotely. It’s not possible to ascribe any real likelihood to this happening but it certainly puts last year’s political storm around the Chinese involvement in Hinkley Point C into perspective. But surely this foreign ownership has major implications for the culture and performance of the companies? As an ex-employee of one of the gas networks at the time owned half by SSE and half by Canadian pension funds I can remember feeling pleased to be part of a company with was part of and contributed to the UK economy. I’m not sure if I worked for a fully foreign owned company where all the profits went abroad that I’d have the same drive and passion to perform. And I can imagine many people feeling the same way – all staff have are the purely financial drivers of pay and benefits to make them perform. Where is the personal ownership and pride? So the big questions are then, does this current model of liberalised ownership drive performance in both the short term and the long term. In the short term, that’s really a matter for Ofgem who regulates these networks and there are significant concerns around this considering both the questionable benefits of the innovation schemes under RIIO and concerns around excess levels of network profits. In the longer term, networks are required to undergo rapid and transformative change. We expect electricity networks to move towards more flexible and responsive distributed service provider models. For gas, there is a very uncertain role for the gas grid when it comes to heat in the future and the rapid growth in heat networks is seen as central to decarbonisation. With these major changes coming, you have to wonder, is the current system of ownership really the best model? This is one measure of company size which while not perfect is relatively comparable in the case of these companies. It was chosen for ease though I expect Regulatory Asset Value (RAV) would give a similar result. Will the SNP be a new thorn in Cameron’s side? Next story Labour’s energy manifesto isn’t about nationalisation, so what does it really say? Previous story Brexit and energy: what future for UK-EU energy cooperation?